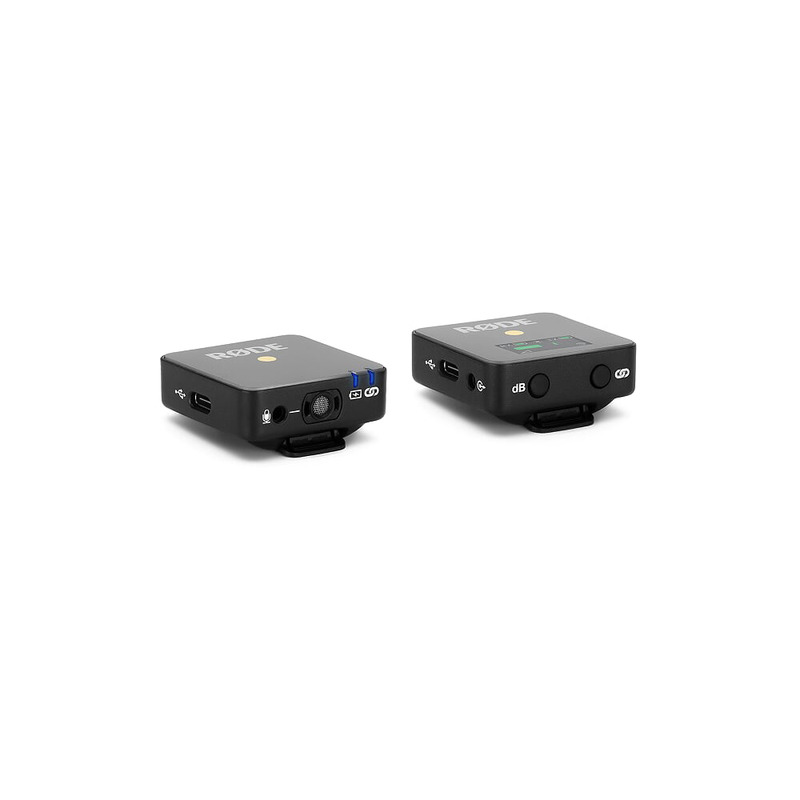 The Wireless GO™ is the world’s smallest, most versatile wireless microphone system. 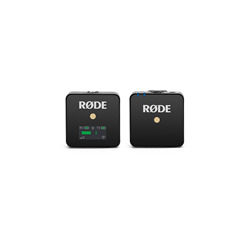 The transmitter acts as both a clip-on mic or beltpack for a RØDE lavalier, sending crystal clear broadcast-grade audio via 2.4GHz digital to the on-camera receiver. 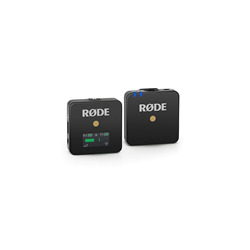 Wireless GOis the next step in the evolution ofwireless microphones, an ultra-compact, broadcast-quality wireless mic system designed for voice recording on-the-go.We are positioning the Wireless GO as an emerging creatorsolution while theRØDELinkFilmmaker Kit remains ourprofessional wireless beltpack solution (see below).Recording pros should have both in their kit. Measuring just 44mm x 45.3mm x 18.5mmand weighingonly 31g, the transmitter (TX) can be usedeitherasa clip-on lavalier (‘lapel’) microphone, as it featuresan in-built omnidirectional condenser capsule, or as a miniaturebeltpack transmitterfor a lavalier microphone thanks to the 3.5mm TRS input. 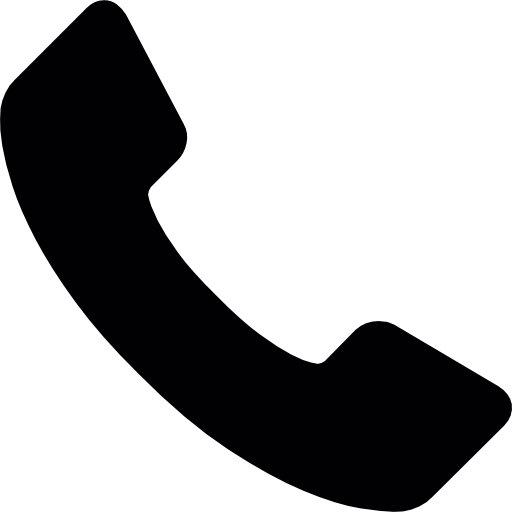 This dual functionality makes the Wireless GOvery attractivein terms of flexibility and versatility. 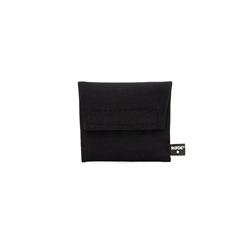 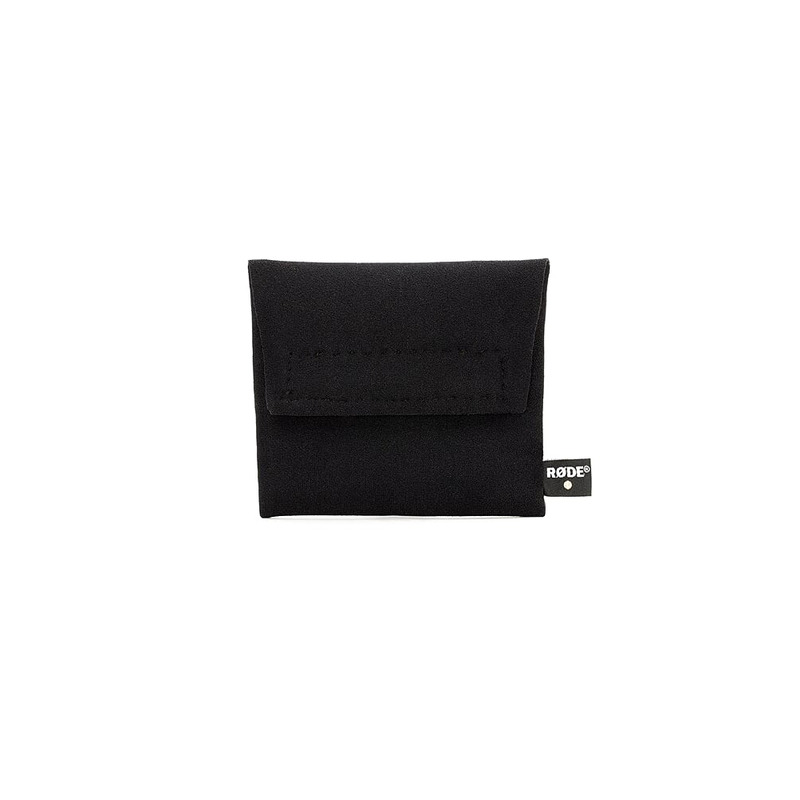 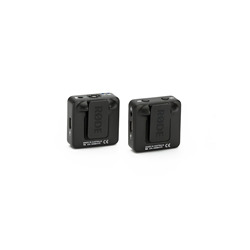 The receiver (RX) is also ultra-compact, just 44mm x 46.4mm x 18.5mmand also 31g.It has a dual-purpose mount that fits into the shoemount ofany camera,or can be clipped to an item of clothingor camera strap. 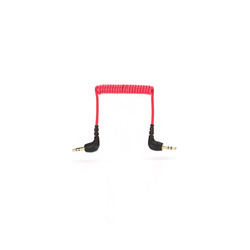 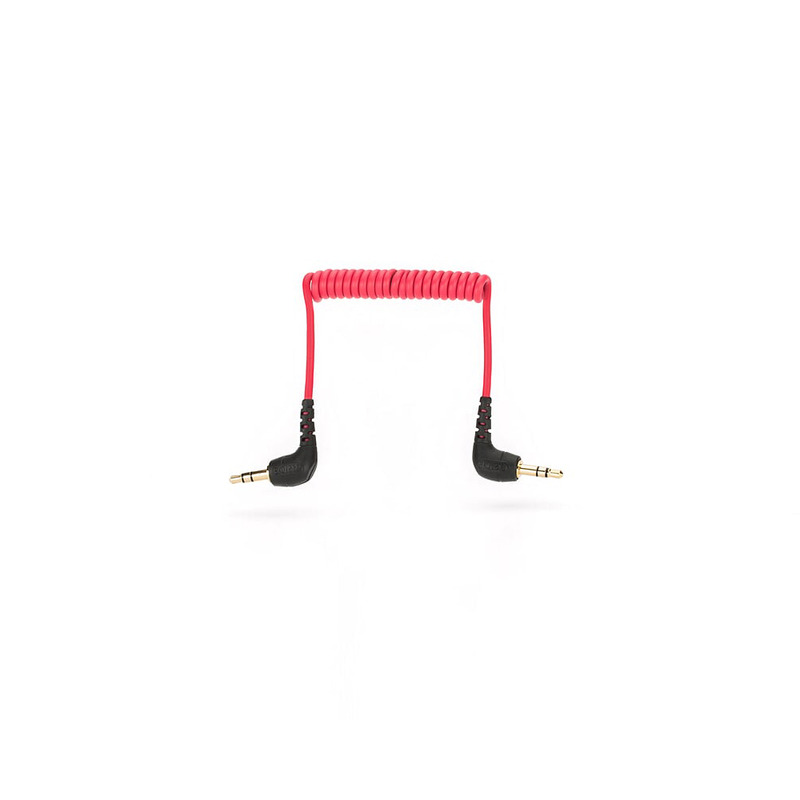 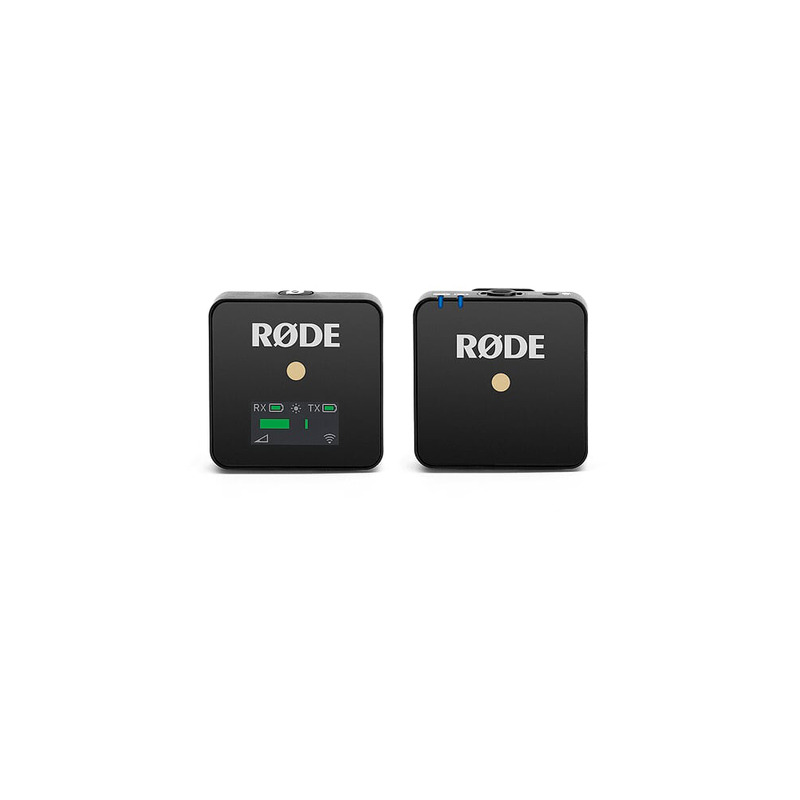 It comes supplied with a 3.5mm TRS cable for plugging directly into a camera audio input or, with the relevant RØDE adaptors, an action cam,iPhone or any other compatible recorder.There is also athree-stage output pad –0dB, -6dB, -12dB –to tailor your output to your camera or recorder. 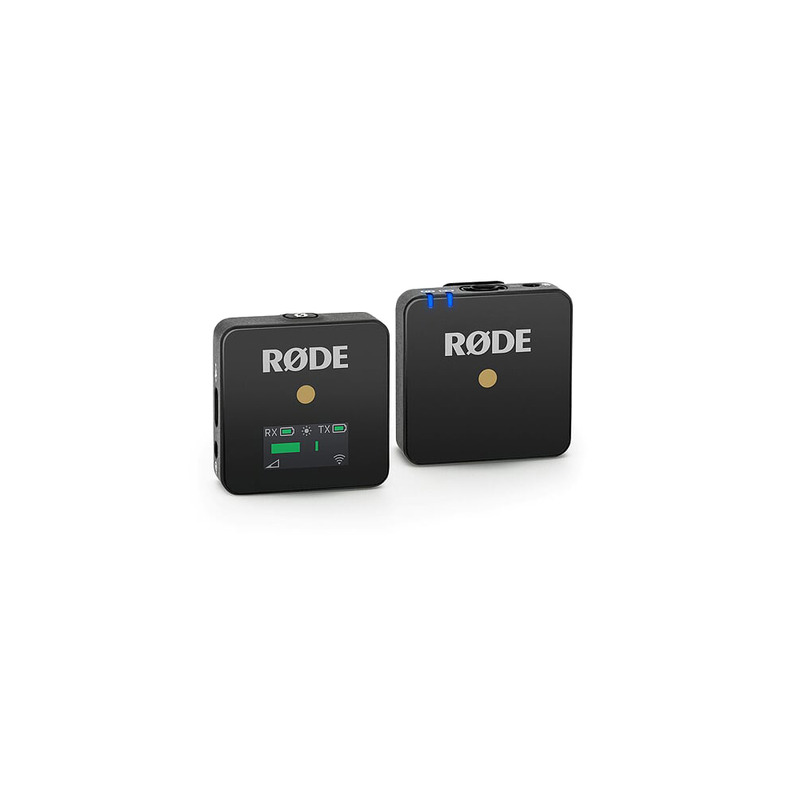 Wireless GO delivers crystal clear, broadcast-grade audio thanks to the on-board omnidirectional condenser mic and all-new Series III 2.4GHz digital transmission. 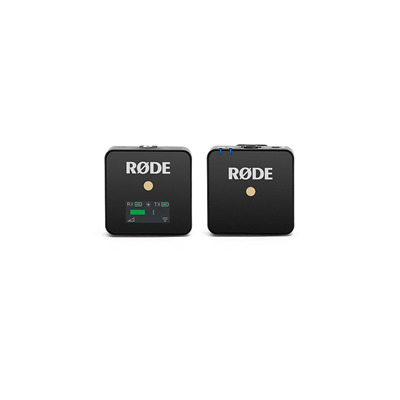 It has aline-of-sight rangeof up to 70m, but is optimised for shorter-range use in crowded Wi-Fi and Bluetooth environments, like conventions, hotels and shopping malls.The RXoffers the option to connect a lavalier or headset mic –such as the smartLav+ (with SC3 cable adaptor), RØDE Lavalier or HS2 –for expanded recording capabilities.